Inspired Technology can help you benefit from greater responsiveness and agility with lower costs and risk thanks to our comprehensive and integrated range of cloud services. 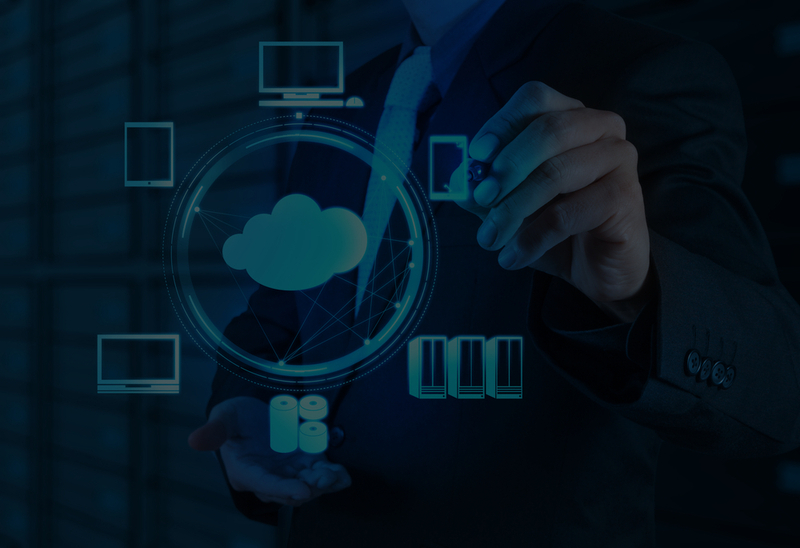 Our cloud offering allows your infrastructure to scale up or down in line with your business needs and frees up an IT department’s time to act proactively rather than maintaining an in house system. With virtualisation you get more for less. It allows you to use less hardware therefore speeding up your ROI and reducing your cost of ownership. Our IaaS offering provides an easily scalable solution which is highly resilient and flexible. This means that you don’t need to predict what your IT requirements will be and you don’t have the unwanted surprise of having to replace faulty or obsolete hardware. Whether you’re looking to host analytical software for Big Data, Business Intelligence Software, Digital Content & Media Applications, ERP/CRM applications or others, we have the infrastructure in place to provide the performance you need. With our DRaaS we continuously replicate your IT environment which means that should the worse thing happen, a recovery point and time can be established within seconds of your disaster. Our BRaaS ensures that your data is protected at granular level and can be recovered quickly with a transparent cost per GB predictions structure. Designed to offer a quickly provisioned offsite backup, at a fraction of the cost of implementing a physical data recovery site. A Veeam Repository helps eliminate upfront capital expenditure for equipment and reduces offsite data centre costs (including space, power, network and equipment). Bringing a powerful online backup, cloud storage, collaboration and sharing features to your business. It’s easy to use making it suitable for everyone – from one man businesses up to larger enterprises. Click here to find out more. When we migrate our customers to the cloud the entire server environment including operating system, applications, network and storage configuration is moved. We always treat customer data and workloads very carefully and replicate them in a similar manner to our Disaster Recovery Service. Find out more about our Cloud Solutions – get in touch, one of our team will be delighted to assist! Arrange a callback by filling out the form or contact us using the details below. Would you prefer if we arranged to call you back at a convenient time?